Have you heard of Magic Jack. The phone system that you install using your internet and your phone. The Magic Jack cost $59.99 at Best Buy. 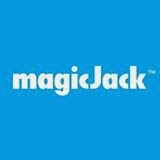 What is fantastic about Magic Jack is - phone service for 1 year (US & Canada) only cost $35.00!!!!! 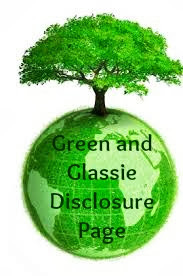 The system was super easy to install and we can not tell any difference with the service. We had digital phone service through Time Warner. Our bill kept getting higher and higher for no additional service. That is so frustrating since we knew the phone system was running off of our internet system. We had discussed switching but just did not take the blundge! While shopping for Caleb a Birthday present at Best Buy we decided to move our service to Magic Jack. It has been the best decisions we have made about our phone system. One of the down falls to switching is we now have a new phone number. Since we have had the same number for years a new number is a big change. But one thing nice about having a new number - we are only giving the number out to the people we want to have our new number. We are both wondering how long it is going to take to start getting the sales calls. It had been getting terrible with nusiance calls - buy this - vote for this person ...yipes we answer the phone more times to hang up than to we did to talk to people. We have cell phones that people call and text so our home phone was a extra. We had thought about getting rid of our home phone - but we just could not get ourselves to let it go. Magic Jack is the next best thing....paying only $35 a year is definetly a benefit to having a home phone! Have you ever thought about getting rid of your home phone? I don't have a house phone & haven't in about 5 years. My cable is completely separate from my wireless phone, so I don't think this would apply to me. My husband thought about looking into this for us because it definitely is cheaper than going through phone companies. We only have a phone line so we can have internet the phone itself wa unplugged a year ago as we al use cell phones now. this sounds wonderful as does 35 a month. We have not had a house phone in probably 10 years, but this sounds like a great plan. We do have a home phone too but we do not use it. Lol wasteful but this is interesting! What a great idea. The cost of phone plans can really add up. This seems to be a fantastic way to help reduce the cost. This seems like a great idea. It is an economical way to have a stationary home phone at a good cost. I've seen this on tv and always wondered about it! Will have to look into this. I can't seem to give up my landline even though, yes, most of the people who call that number are just trying to sell something!